The card is based on the popular TV show which first aired in 1990! Was it really that long ago? The show was originally hosted by energetic presenter Richard O’Brien. The presenter would guide players around a maze which featured different zones. A team would compete to retrieve crystals by solving puzzles. Crystals gave the team members longer time in the games final area – the Dome. If a team collected a 100 gold tokens in the Dome they would ‘Crack The Maze’ and win the game. 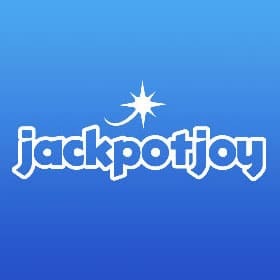 The Crystal Maze theme scratch card from Jackpot Joy gives you the chance to win jackpots worth up to £30,000. This scratch card has 6 separate zones to play. The first zone, known as ‘Contestant Challenge’ has a £200 jackpot. It’s not the largest prize but this card only cost £0.20p. Other prize amounts also up for grabs on this card include £10, £4, £30, £200. The second zone is ‘Aztec Mask’, this card costs £0.40p and offers a top prize of £16. It doesn’t make sense to me either! You’d think it would be higher than the first card, which is cheaper to buy. The third card is ‘Windustrial Zone’ it costs £0.50p and has a top prize worth £50. The fourth card up is ‘Medieval Match’, it costs a £1 and you could win an £800 jackpot. ‘Futuristic Treasures’ is the fifth game card and comes with a top prize of £1,600. 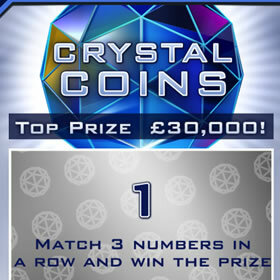 The final card is ‘Crystal Coins’ which carries a £5 price tag and offers a £30,000 jackpot. The gameplay on the ‘Crystal Maze’ card is traditional. Each card comes with various scratch panels which must be removed. Match 3 symbols or numbers to win a cash prize. The ‘Crystal Coins’ card comes with the most panels to scratch. In total, this card contents 3 scratch off areas. 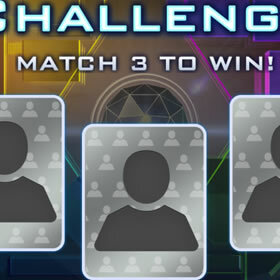 Each one gives you a chance to win. Whilst I do like the Crystal Maze theme, especially the music. However, the game designers have missed an opportunity with this licensed game. I would’ve loved to see the ‘Dome’ concept from the TV show worked into this scratch card. Or a time-limited aspect to the game. Apart from those criticisms the card plays well and gives players plenty of choices. All the scratch cards at Jackpot Joy are good and Crystal Maze is a welcome additional to their growing list. Along with scratch-offs you can also play 100s of fruit machine games, including a Crystal Maze theme slot. 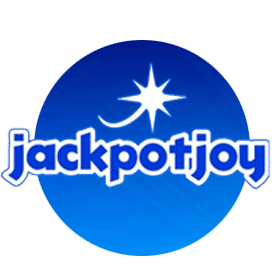 Jackpot Joy is better known for its bingo games, but scratch players should also give it go – you won’t be disappointed.